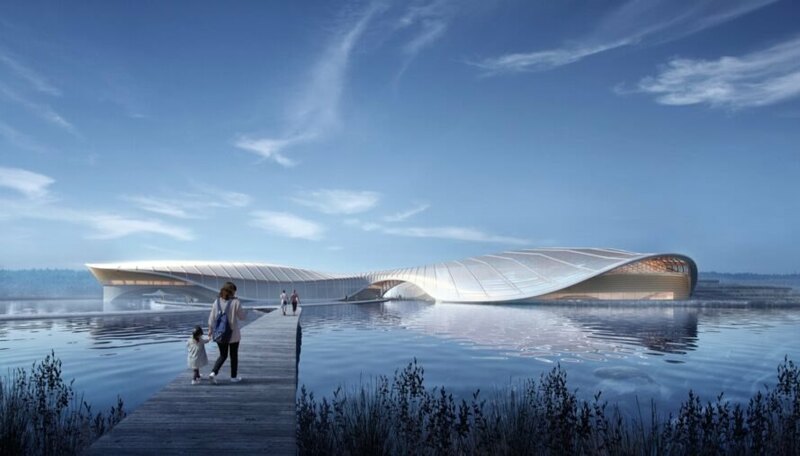 Ennead Architects and Andropogon Landscape Architects have won an international competition for the Shanghai Yangtze River Estuary Chinese Sturgeon Nature Preserve. The proposed design takes the shape of an undulating sculpture mimicking the curves of Asia’s longest river while referencing “biomorphic anatomy.” The building will be clad in translucent PTFE panels and engineered with sustainable, energy-efficient technologies such as geothermal heating and cooling loops. The purpose of the Shanghai Yangtze River Estuary Chinese Sturgeon Nature Preserve is to rescue critically endangered species and to restore the natural ecology of Yangtze River, which has been plagued by pollution and construction. 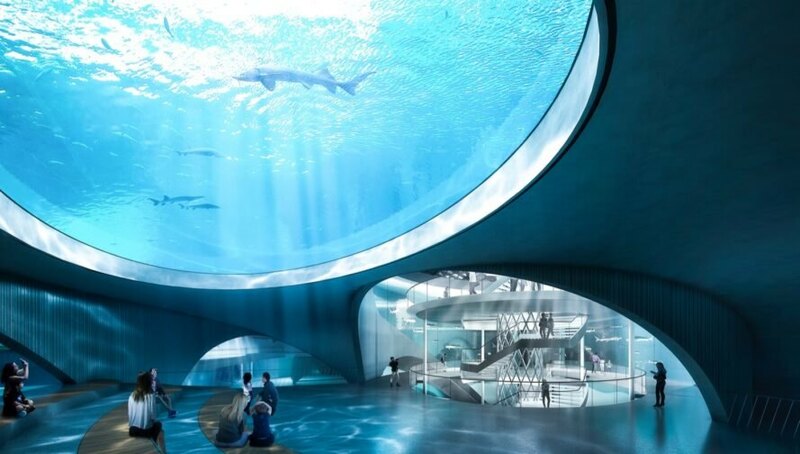 The project also aims to engage the public and raise environmental awareness with immersive exhibit experiences. 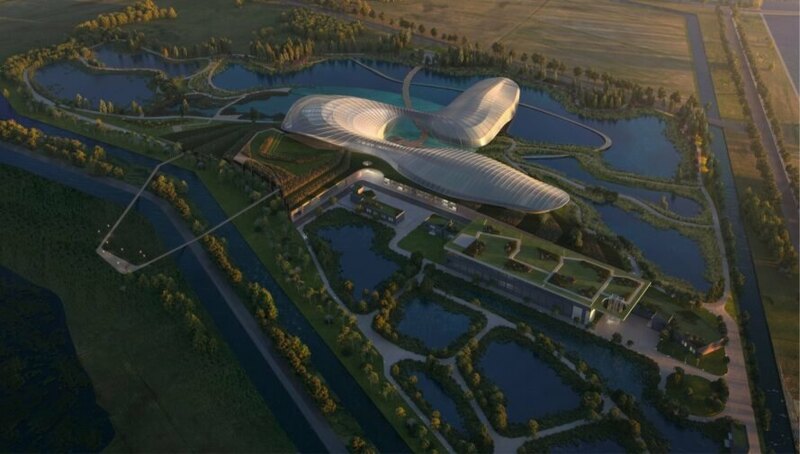 To achieve these goals, the 427,000-square-foot nature reserve building, which will sit on a 17.5-hectare site on an island at the mouth of the Yangtze River, will consist of a dual-function aquarium and research facility, bringing together efforts to repopulate the endangered Chinese Sturgeon and Finless Porpoise. Ennead Architects and Andropogon Landscape Architects proposed a dramatic design for the building that takes cues from nature. Split into three wings united around a central spine, the structure will be built with a cross-laminated timber structural system wrapped in a lightweight PTFE skin, which will fill the interior with daylight. Inside, constructed wetlands landscaped with local flora and aquatic plants provide a beautiful connection with the outdoors, sequester carbon and serve as a biofiltration system for aquarium water, “resulting in a new paradigm of environmental equilibrium,” the designers said in their press release. 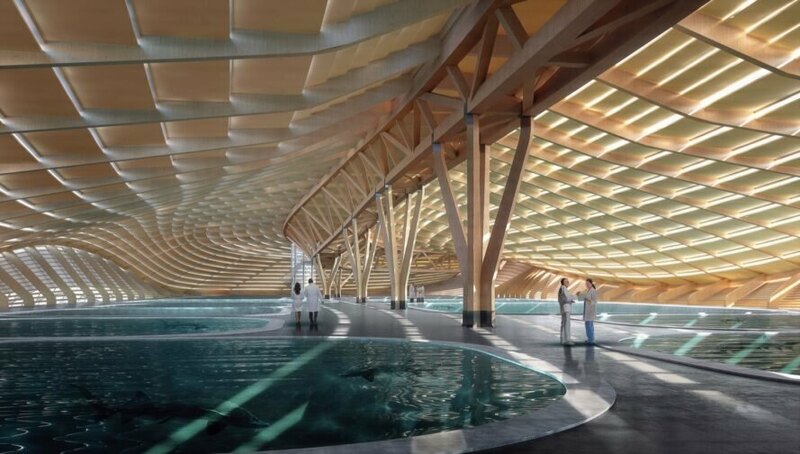 The landscape design in and around the buildings mimics the natural shoreline ecosystems found throughout the Yangtze River basin and provides opportunities for breeding and raising Chinese Sturgeons and Finless Porpoises. Visitors will be able to view these pools from suspended walkways that weave throughout the campus grounds. 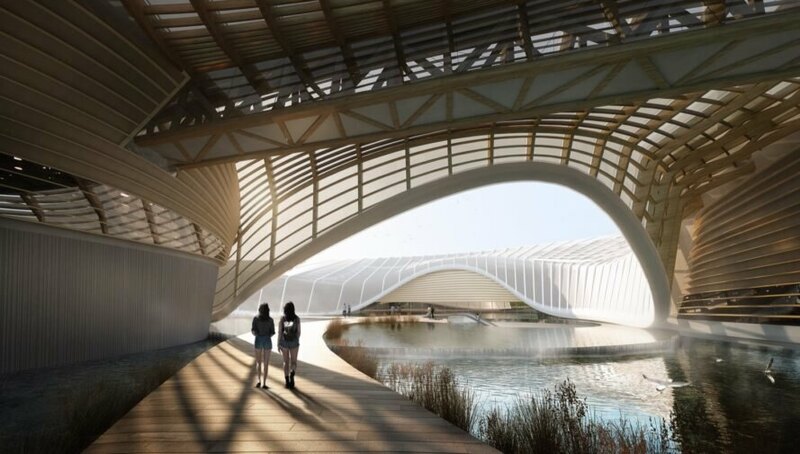 Ennead Architects and Andropogon Landscape Architects won an international competition for the Shanghai Yangtze River Estuary Chinese Sturgeon Nature Preserve. The design mimics the curves of the Yangtze River. The structure will sit at the mouth of the river. The nature reserve building will span 427,000 square feet. The proposal incorporates constructed wetlands with native plants to sequester carbon. The project will rescue endangered species and restore the river. The landscape design will mimic natural ecosystems. Guests will have plenty of opportunities to learn more about local wildlife. The nature preserve hopes to combat the effects of pollution and construction.